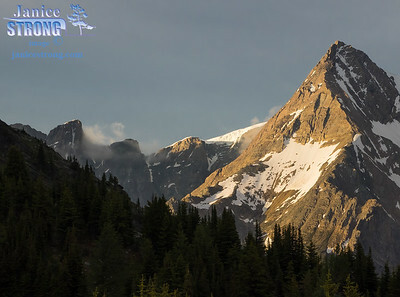 The Purcell Mountains are part of the Columbia Mountains of British Columbia Canada. 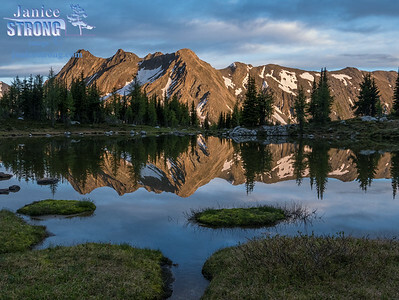 East Kootenay Purcells have great hiking trails and beautiful alpine access. 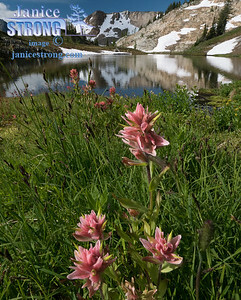 Mid-day light on Indian Paintbrush wildflowers above the tarn at Silver Basin. 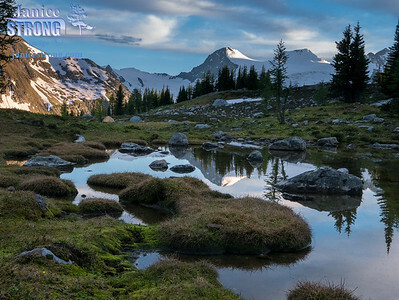 The tarn is near the Bugaboo Provincial Park, BC. Panoramic of Jumbo Creek as seen from Jumbo Pass. This image will enlarge to about 2-metres long, as it is a combination of several full-size images. 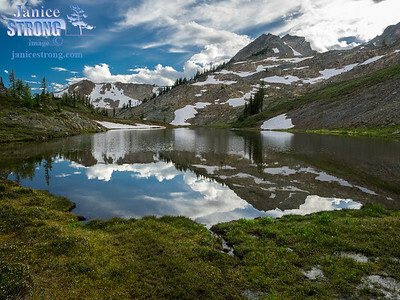 Reflective Tarn at Jumbo Pass in the high Purcell Mountains. Reflective Tarn at Jumbo Pass in the high Purcell Mountains. This image is cropped to be a vertical format. 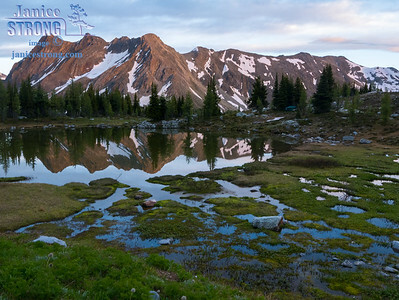 Tarn at Jumbo Pass with evening alpenglow on summits of southeastern BC in the high Purcell Mountains. 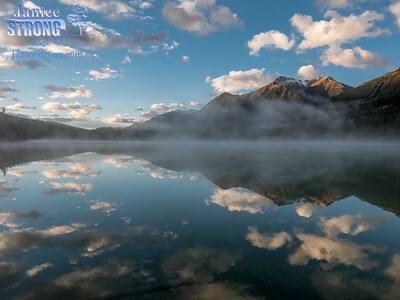 Mount Karnak reflected in a tarn at Jumbo Pass in the Purcell Mountains of southeastern BC. 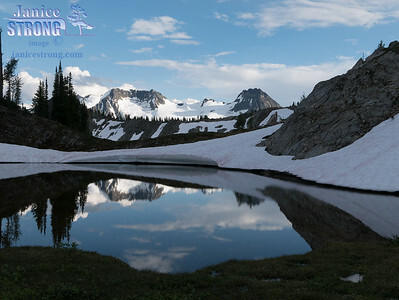 Late afternoon reflection at Silver Basin near the Bugaboos in southeastern BC. Pastel pink Indian Paintbush wildflowers grow near the tarn at Silver Basin. 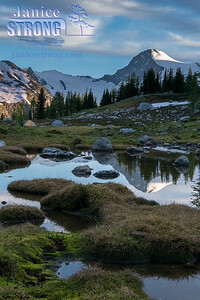 The tarn is in the high Purcell Mountains near the Bugaboos. 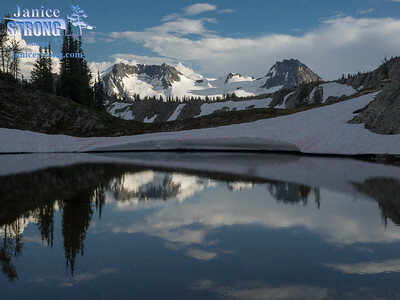 Cool evening reflection on the tarn at Silver Basin. 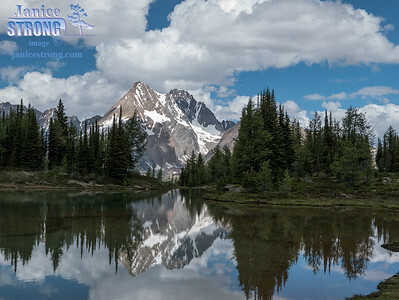 The tarn is near the Bugaboo Provincial Park, BC. 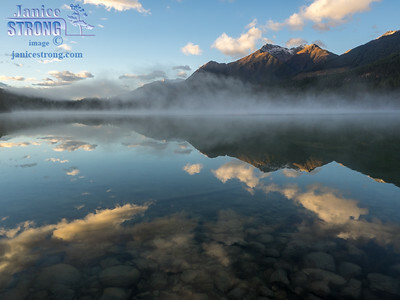 The water of Azure and Buster Lakes are amazing colours. One season they are jade green and the next season they may be turquoise. 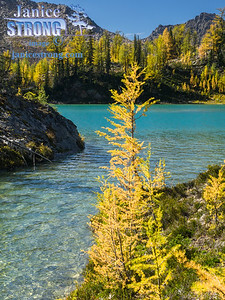 Alpine larch turns golden in September, and the colour combination is spectacular. 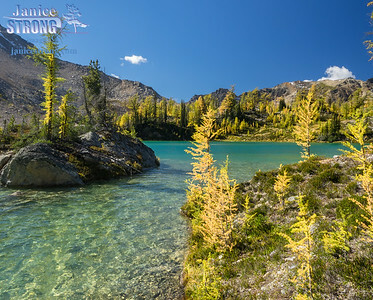 Azure Lake with golden larch trees along the shoreline in the high alpine of the Purcell Mountains. 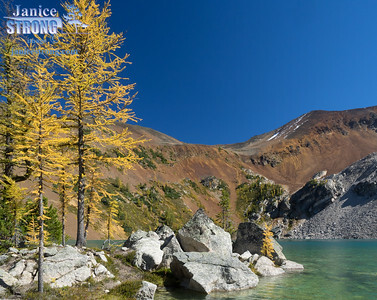 Alpine Larch trees turn golden in September. 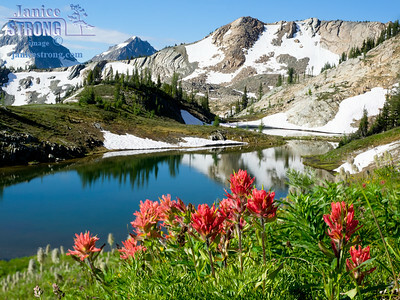 The jade colour of the Azure Lake surrounded by white granite boulders and burnt orange shale is a fabulous hiking destination. 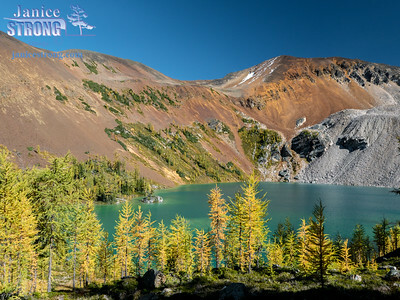 Alpine larch trees rim the shores of Buster and Azure Lakes. 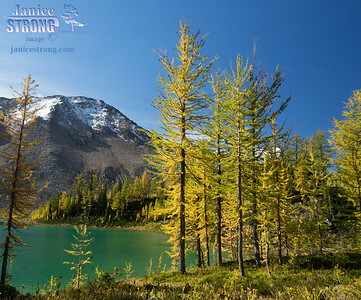 The larch needles turn golden in autumn (during September). Burnt orange shale, white granite bedrock and talus plus a jade green coloured Buster, or Azure Lake makes a vivid palette of colour. 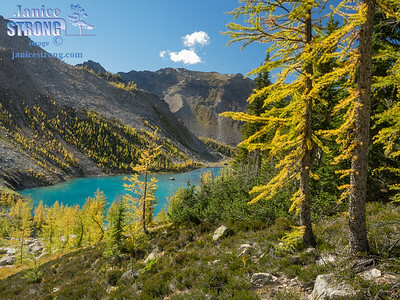 The autumn golden colour of the larch trees completes the scene in the high Purcell Mountains. 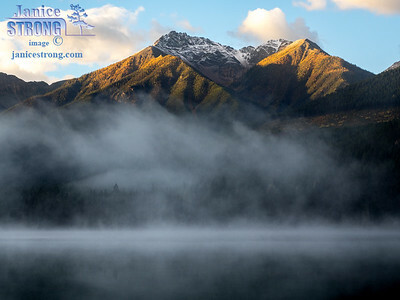 Purcell Mountain Lake in autumn. 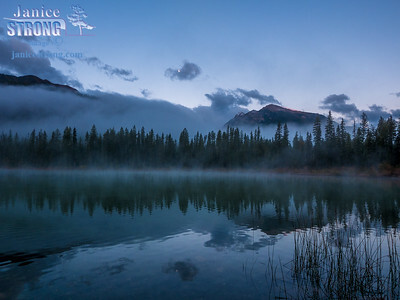 Purcell Mountain Lake at sunrise, BC. 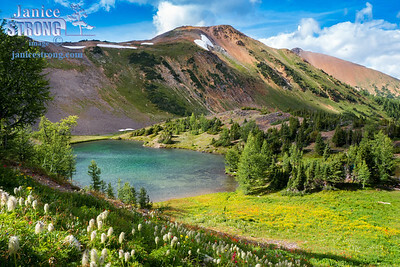 Silent Pass and Silent Lake in the high Purcell Mountains with wildflowers along the shore. 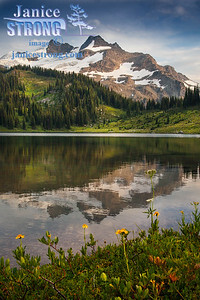 Wildflowers at Brewer Tarns in the high Purcell Mountains of southeastern BC, at Brewer Creek.